You and I attend tech conferences for all sorts of reasons. Sometimes we're learning something new and want to immerse ourselves in an event about that technology. Or sometimes we go because that's where our community of friends and colleagues hang out and we like getting together. And sometimes we're curious about "what's next" in our field. 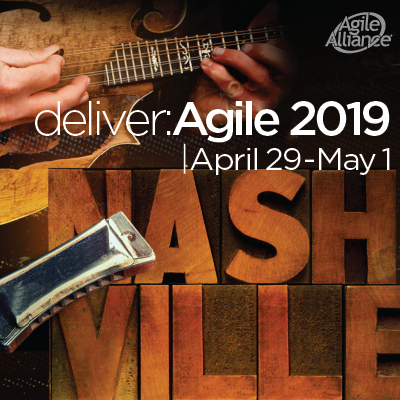 All these reasons apply to deliver:Agile 2019, especially if you're into emerging technologies and practices. Introduction to Kafka Streams, by Pooja Rallabhandi. Usage of Apache Kafka is exploding, and it coincides with mainstream understanding of event-driven architecture. I'm excited for Pooja's talk to hear how she uses Kafka at Ticketmaster. As you consider the machinery that helps you ingest and process events, Kafka should be on your list. The Extreme Agility of Serverless Architectures, by Joe Emison. Joe has ... opinions. Good opinions! He's been an advocate of serverless computing for a while now, and has a keen sense for where to find the value. His workshop at deliver:Agile will be a deep dive into four different application architectures, and the Agile benefits of serverless computing. Don't miss this. Dev and Test Agility for your Database with Docker, by Julie Lerman. It wasn't that long ago that stateful containers were considered too risky for serious workloads. Julie's talk explores dev/test use cases for databases in Docker and will help you introduce agility to your data workloads. You can expect to walk away with actionable advice and realistic gotchas to look out for. 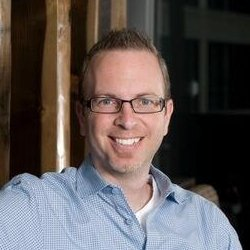 Achieving Agility w/ APIs at Chick-fil-A, by Brian Chambers. Brian's part of a team that's been doing some bleeding edge work with Kubernetes, edge computing, and mobile-friendly APIs. In this session, Brian's going to dig into a practical API strategy that factors in their real-life concerns. As you have more and more systems exposed to wide audiences, you'll want an API strategy that incorporates Brian's thinking. Agile Machine Learning, In Production, by Kishau Rogers. Artificial intelligence and machine learning got you excited? It should. As model development practices emerge, how do they fit into your existing Agile processes? I don't know much about this, so I'm looking forward to learning from Kishau. deliver:Agile has a unique program. The conference is oriented around practitioners who want to get value from software, quickly. And it's also a chance to learn about new, hot tech that may form a big part of your future software. Don't miss this opportunity to spend a few days to dig deep, and have meaningful conversations with like-minded peers. See you there!